We launched our Smart Power Illinois blog just two months ago, but in that time there have been enough landmark moments in the quest for a greener planet, that it seemed worth doing a year-in-review. To begin with, the announcement this month that 195 countries had come to an agreement on climate change after the #COP21 climate talks in Paris is an incredible way to ring in the New Year. Yes, there is a lot of work still to be done, as CNN and the NYTimes both point out — but getting everyone in the same room to agree was a huge step in the right direction. Even Scientific American is feeling optimistic about a growing global consensus that we need to take action on climate change. All the news on the climate front is not global. Right here in the Midwest, we’ve been making strides too. 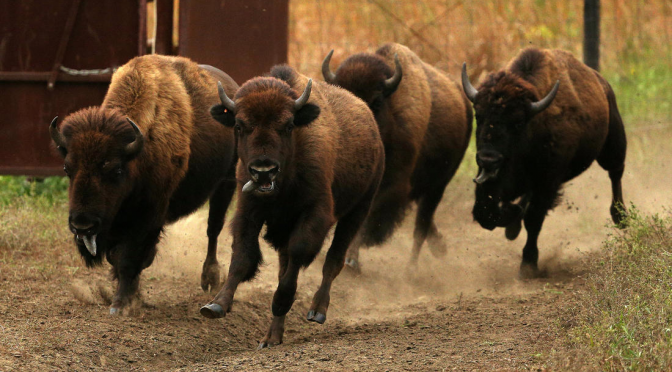 First of all, we’ve got bison in Illinois again! Illinois is also fifth in the nation in terms of wind power capacity, and the Environmental Law and Policy Center suggests that we’re primed to benefit economically from the U.S. Clean Power Plan. And let’s not forget what Illinoisans across the state are doing in our own homes — getting on the smart grid. We’ve got a lot to feel good about in 2015 and plenty to toast for the year ahead! Happy holidays, everyone!